The Yamaha DBR12 is an active PA speaker featuring a 12" woofer and a 1.4" high-frequency driver and provides a maximum output of 131 dB. An on-board 2-channel mixers allows you to connect microphone or line level sources via 1/4", XLR, and RCA connectors. It has an ergonomic handle and a lightweight design making it portable and easy to transport. 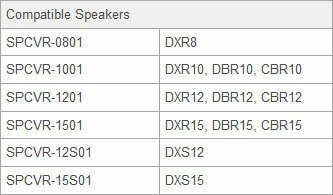 DBR series speakers have two input channels. Channel 1 has a combo jack which accepts both XLR and TRS phone allowing for either mic or line level input signals. Channel 2 offers two input options; a combo jack that accepts XLR or TRS phone, and a stereo RCA pin jack for input from CD players or other stereo line-level sources. The functional speaker covers that protect your speakers from unfavorable weather conditions during outdoor performances, dusty and dirty warehouse storage, or the rigors of equipment transport on the road. - Trilaminar fabric of durable polyester, with inner PVC coat and cushion inside for impact suppression. - Front mesh allows sound reinforcement with the cover as well as ensures amp cooling. - Rear roof allows easy access to the rear panel with the cover on. - Inner pocket additional space for carrying cables. *NOTE: The covers do NOT guarantee water-drip protection. 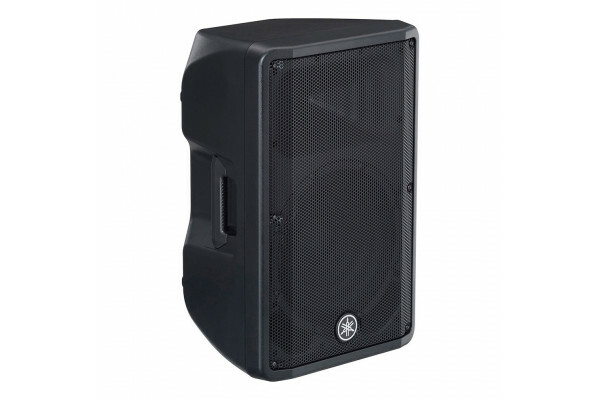 Seen the Yamaha DBR12 Active PA Speaker from another UK Dealer Cheaper?